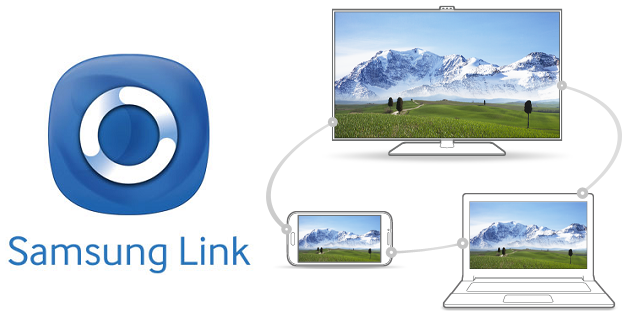 The all new Samsung Link (AllShare Play) Android application allow users to view and manage multiple contents stored on any Samsung device i.e. PC, Laptop, Smartphone, Tablet, Camera and Smart TV simultaneously. Samsung Link for Android provides unlimited space to save any data on its cloud storage service for free, which means users can easily access data anytime anywhere from any Samsung device at no cost. The Direct Download Links of Samsung Link APK File for Android is available for manual installation. Remotely access photos, videos, music, documents and other data anywhere anytime from registered Samsung devices. HomeSync support for instant backup. Share and play contents across Samsung smart devices. Search, upload, play, and watch anything across multiple devices from cloud storage service. The official android application of Samsung Link (AllShare Play) is restricted to certain locations and regions on Google Play Store, but still any Android smartphone and tablet device users can download and install Samsung Link APK file manually through third-party links provided below. Make sure to activate security setting i.e. "Allow installation of apps from unknown sources" on your Android device.